It’s that magical time of year, so here’s pumpkins, apples, and all things fall! Yesterday I went apple picking and picked out some pumpkins. Yes, I was THAT GIRL, walking around the orchard in a scarf and a chambray shirt, picking apples. Today I have more apples than you can shake a stick at. Hence, today’s Gratuitous Fall Cooking Blog: apples, pumpkins, and warm spices. Put on your riding boots and let’s embrace autumn! 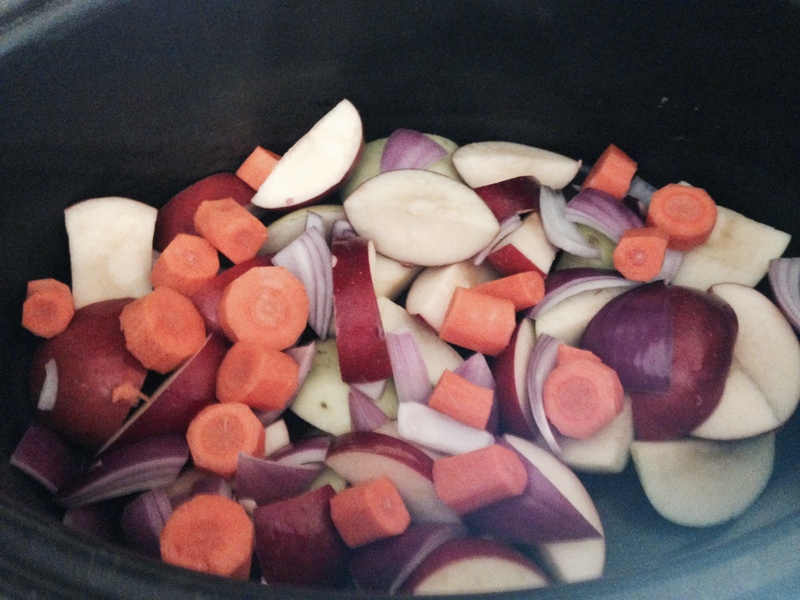 1) In a crockpot or slow-cooker spread a layer of apples, onions, and carrots. The apples we picked were golden delicious and another one that was “like a Jonathan”. I used a little of both, and threw in a couple of carrots since I had them laying around. 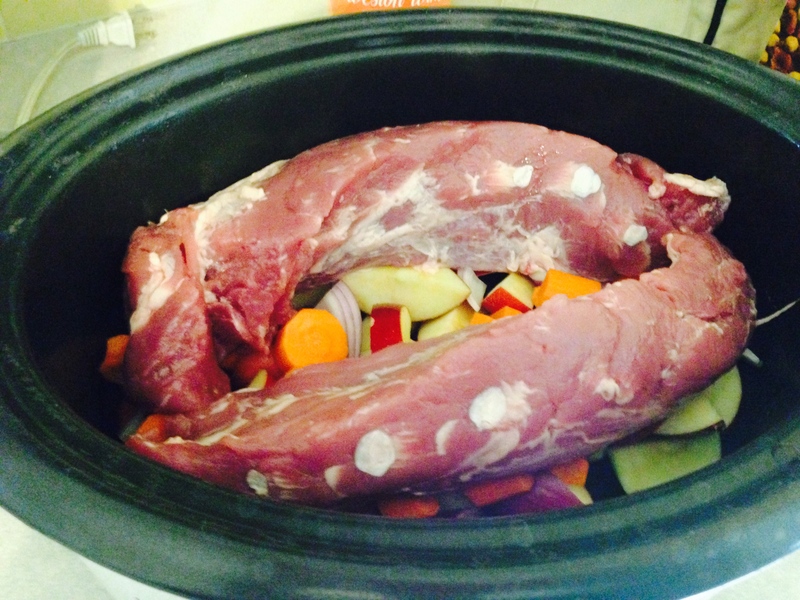 2) Lay the pork loin over the apples, onions, and carrots. Season with salt and pepper. My 3-pound pork loin actually ended up being 2 smaller ones packed together. I’m cool with that, leftover pork loin makes awesome sandwiches and can even be chopped and used as an omlette filling! 3) Pour wine over everything until mostly covered. I used Briolette Apple wine (shout out to my new gig) but you could use a Riesling or even beer in it’s place. 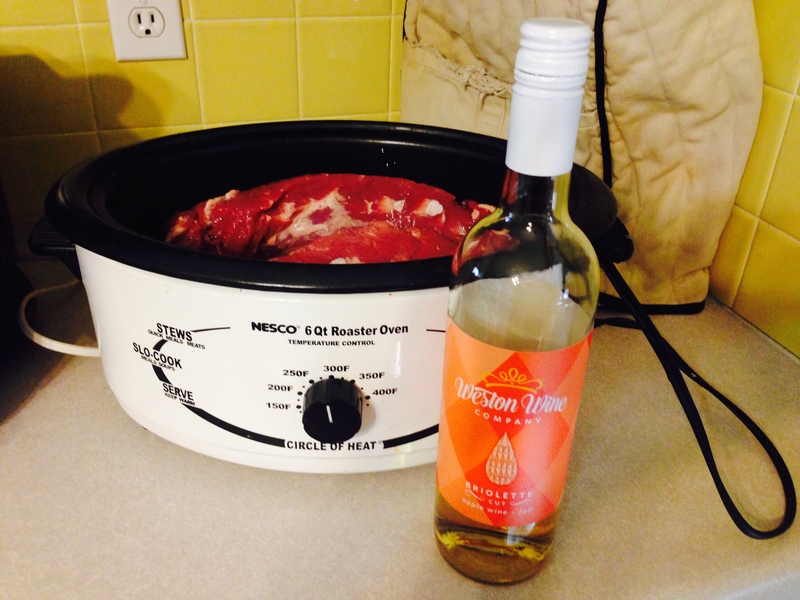 The wine pictured is Briolette Cut, a seasonal Apple wine from my new gig at Weston Wine Company! 4) Slow cook at 200F 8-10 hours or until tender, serve over noodles, or with roasted potatoes. 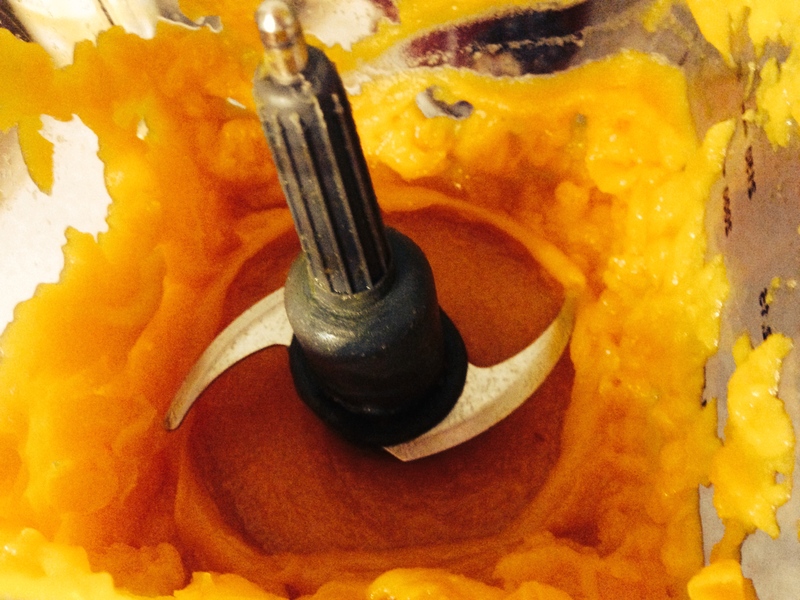 Make your own puréed pumpkin and never buy canned again! The possibilities are endless! 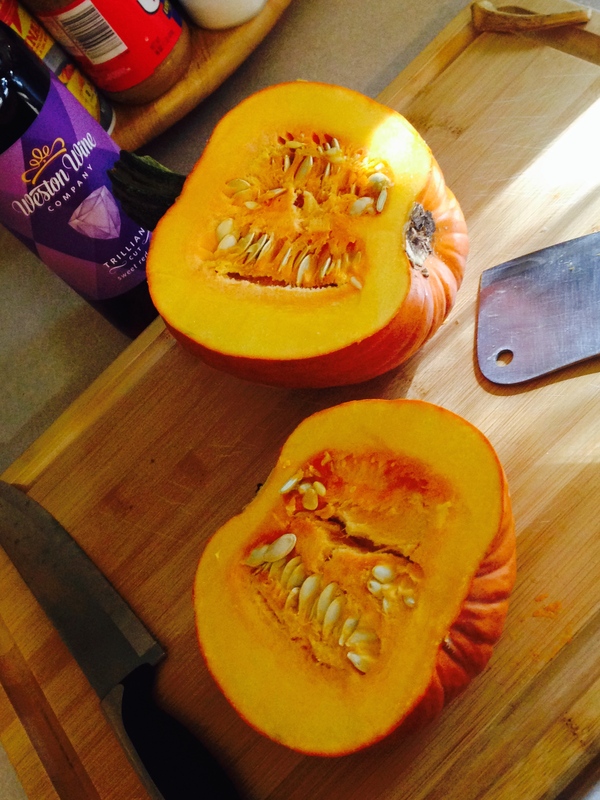 2) Cut the pumpkins into quarters and remove the stems. 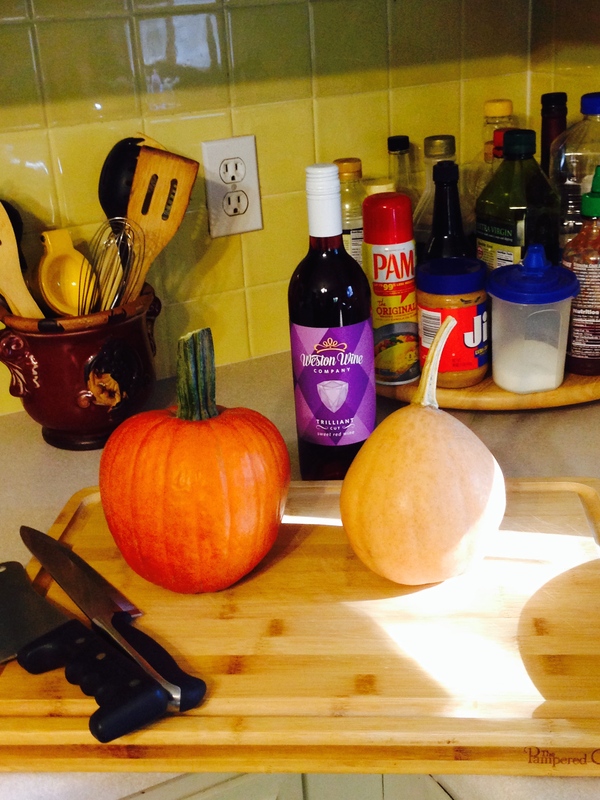 The stem on the Amish pumpkin popped off much more easily than the stem on the regular pumpkin. The inside of the traditional pie pumpkin. See how thick the flesh is? Imagine trying to make a jack o’ lantern out of this baby. 3) Scoop out the seeds and gooey stuff and set aside. Toasted pumpkin seeds are yummy! 4) Place skin-side-down on an ungreased baking sheet. Bake for 45 mins. 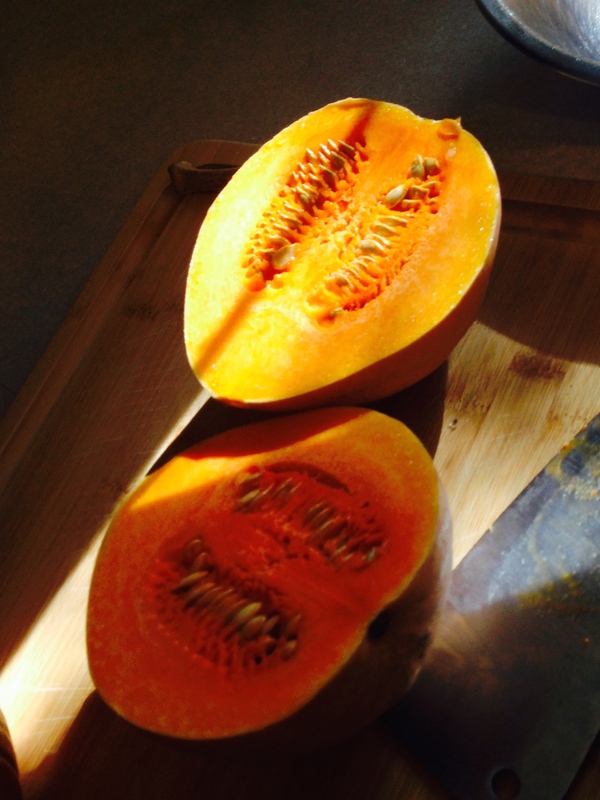 5) Remove from oven and allow pumpkins to cool at least 10 mins until able to handle easily. 6) When cooled, remove flesh from skins and place in blender. Blend flesh until smooth. I added about 1/4 C of water to help it blend more smoothly. Pumpkin in my blender getting puréed. 7) Allow to cool at least 30 mins. Maybe be frozen or used immediately in place of canned pumpkin, such as in pumpkin pie. 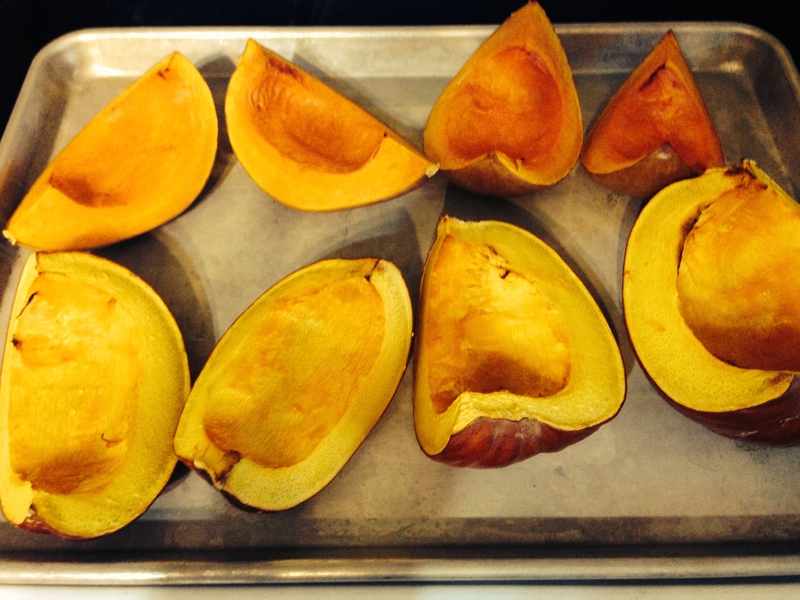 This recipe made enough pumpkin purée for 2 9-inch deep-dish pies. The equivalent of about 2 cans.